Happy Monday- it’s the day after the Super Bowl, who’s not going to work today? Come on, hands up, don’t be shy. Let me ask you this- how many chicken wings did you eat? I remember when I lived in Philly back in the mid 90’s and the venue I was working at hosted the Wing Bowl. This was back in the early days of its origin when it was held at The Electric Factory in Center City Philadelphia. We were primarily a concert venue, hosting bands, always at night. Now here we were reporting to work at 4am, slinging beer and Jager shots to almost 4,000 Philadelphians, watching some guy on stage chow down on 150 chicken wings. Of course now the Wing Bowl is a pretty major event garnering attention from all over the globe, cementing the spicy appetizer forever as the official food of the Super Bowl. I do love me a spicy Buffalo sauce, but the chicken I can leave behind. I suppose I should maybe repost my recipe for Cauliflower Buffalo Wings. But instead I am going to focus on vegetables, something we all need to eat more of, especially after epic weekends like the one just passed. And more specifically, let’s talk sauce, as in how to enjoy veggies with a yummy sauce. And yes, that may be the WORST transition into a recipe in the history of the internet. So I whipped up this easy-to-make super versatile sauce in less than 5 minutes. Six ingredients, five minutes, and delicious in anything from stir-fry to a side of sautéed vegetables. I’ve mixed this sauce with roasted vegetables, rice & beans, and even over salmon. This easy Miso Honey sauce hasn’t met a vegetable it couldn’t work with yet. I love the flavor of the miso, though I prefer to use a chickpea miso I found at Trader Joe’s, you can easily use any type from white miso to the stronger tasting red miso paste. 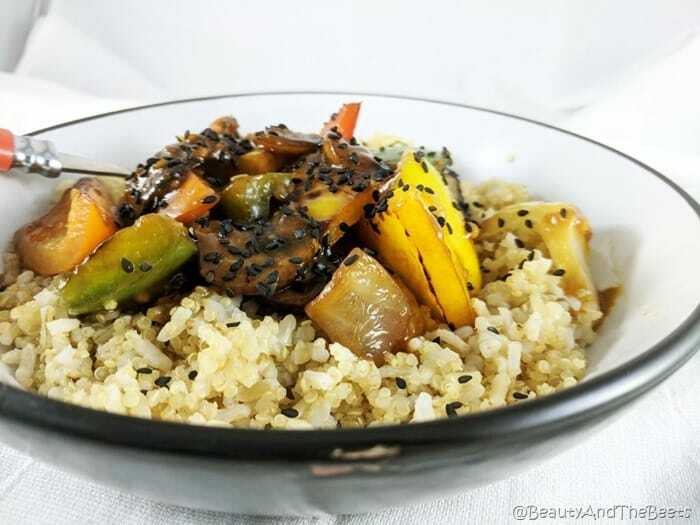 This Asian inspired sauce can also be modified to avoid soy entirely by using not only the chickpea miso, but also liquid aminos instead of soy sauce. 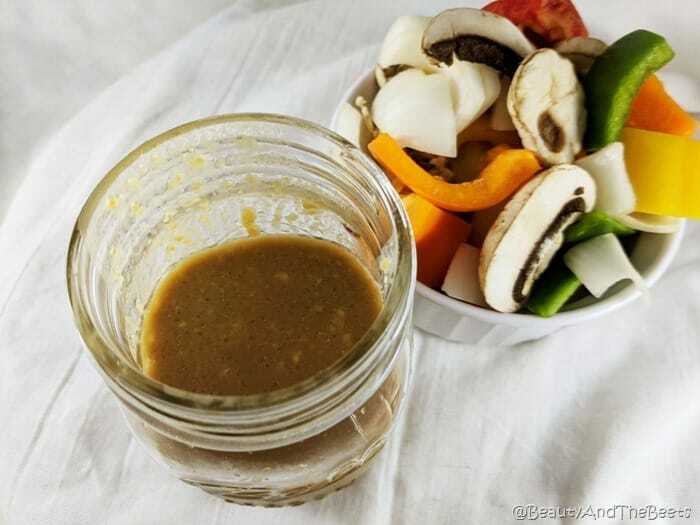 The easiest and tastiest sauce for roasted veggies, stir-fries, or rice & beans. Heat the avocado oil in a skillet over medium heat. Carefully add the minced garlic and move around the pan for about one minute, careful not to burn the garlic. Transfer the garlic to a medium sized mixing bowl. Add the vinegar, miso paste, liquid aminos, and honey to the bowl. Add the sauce while the vegetables are still warm, either in the cooking pan or in a separate bowl. Refridgerate the leftover sauce for up to three days in an airtight jar or container. 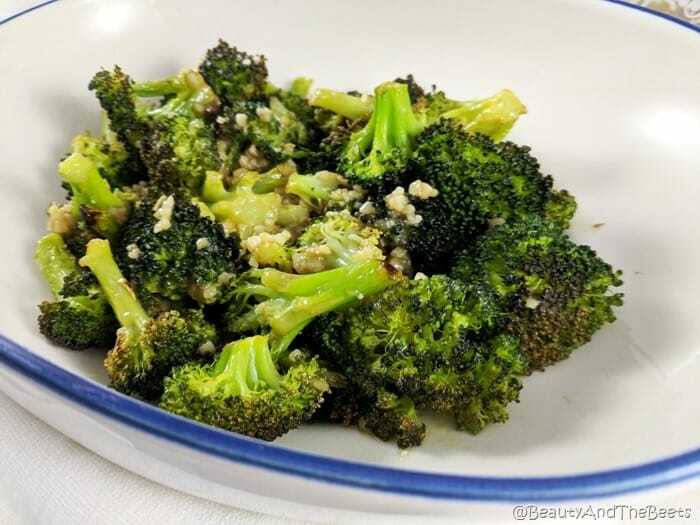 Do you have a recipe for an easy sauce for Vegetables? Tell me in the comments below! 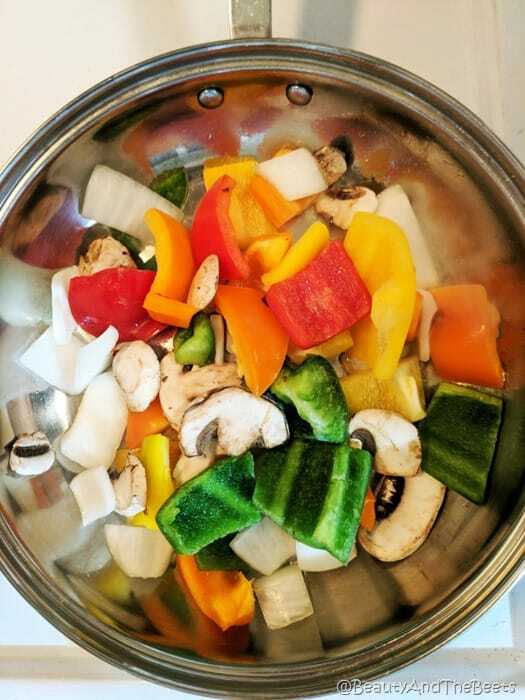 This is certainly a more healthy sauce to use for stir-fry. All the already prepared ones have so much sodium.